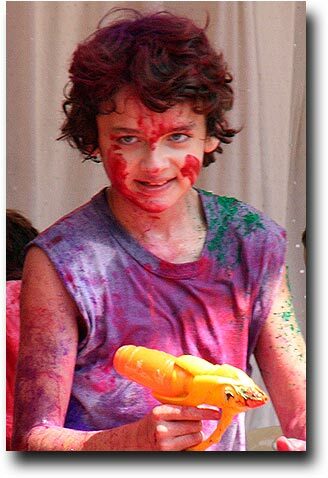 On our last Holi (at least for the foreseeable future), we were invited to a huge party put on by some friends' apartment building owners. 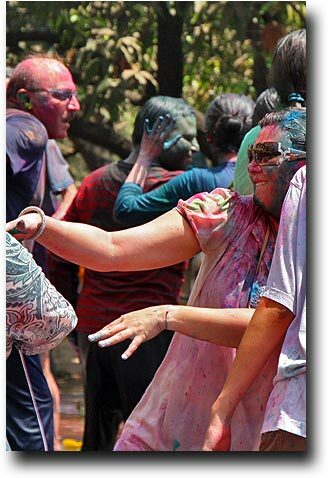 Apparently they have this shindig every year, and it just keeps getting bigger and bigger. 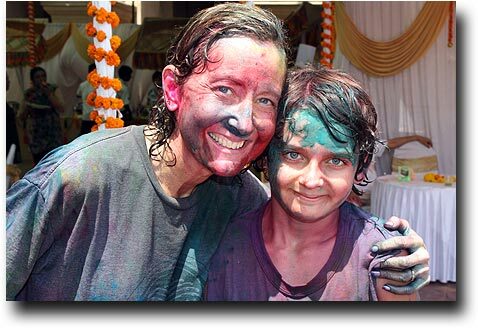 Breck spent the night at their house, and Susan, Dave, and Alea hopped in a rick for the 45 minute trip out to Powai. 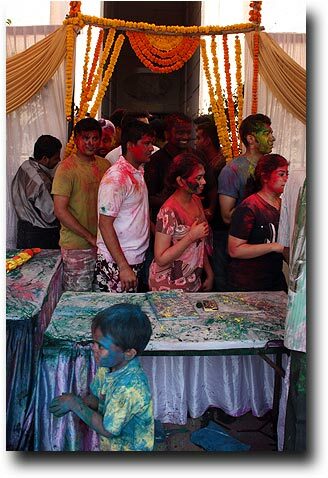 When we got there, the party was in full swing - and the lines of color coated guests just kept getting longer! 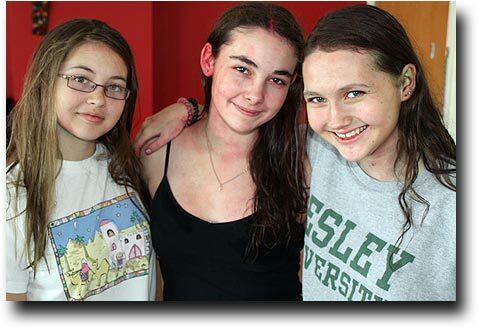 The Stutz family experience was no different - although we seemed to have differing opinions as to what actually constitutes a "grin." 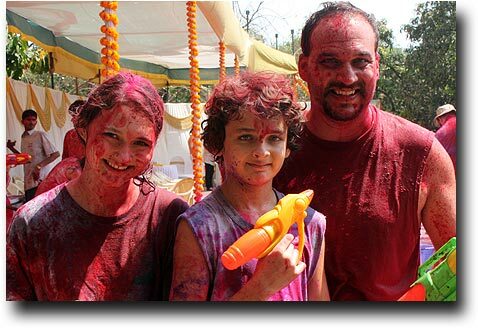 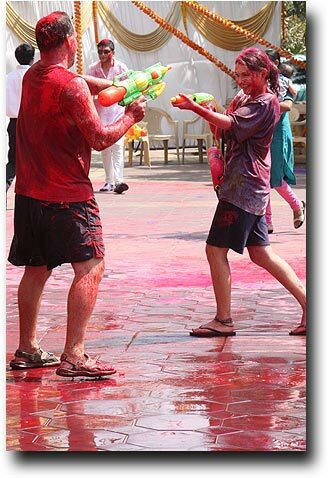 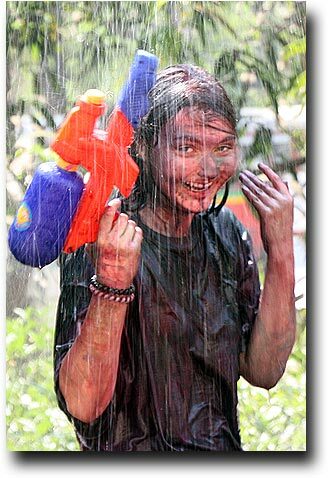 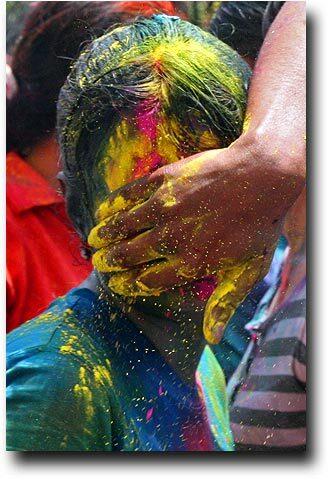 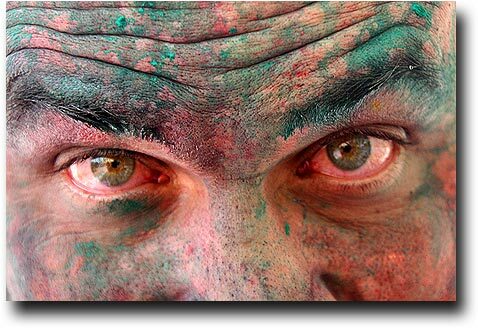 and threw Holi powder on each other, and had a great time as a painted family. 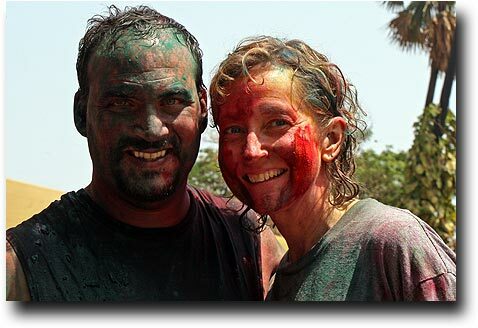 By the end of the day we were all stained and slimy, but still having a great time. 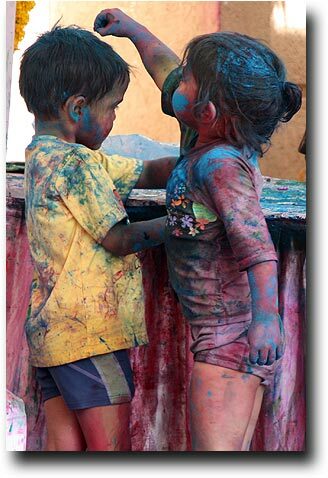 But some of that other paint will take a while to wash off! 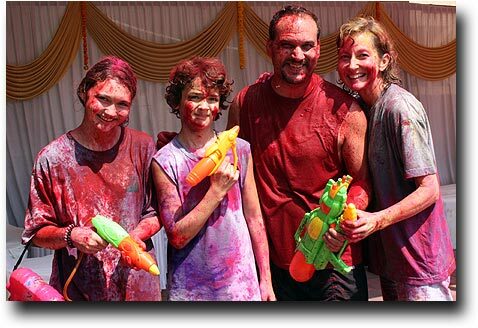 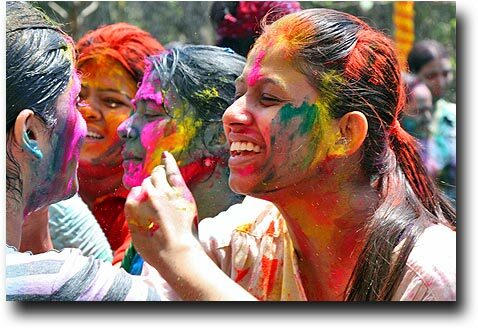 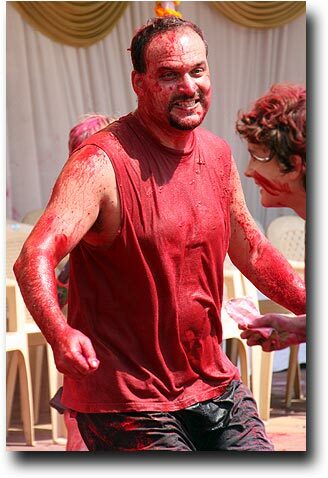 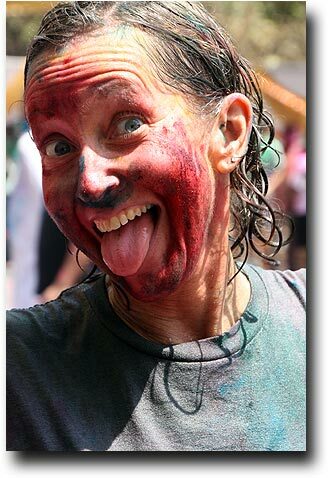 Another Holi in the books, and another celebration of Incredible India!